Flea Market - The Chip's Challenge Wiki - The Chip's Challenge Database that anyone can edit! The blue and white squares are tent canopies. Things are hidden under them. 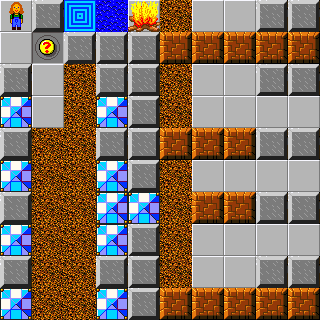 Flea Market is the 110th level in Chip's Challenge 2. It was created by LimoJohn. 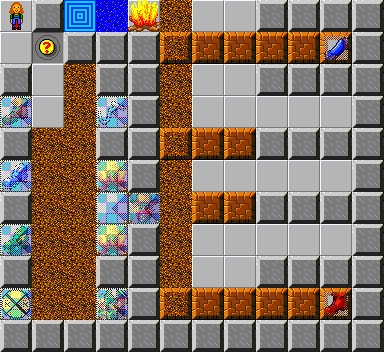 This level introduces the hook and tent canopy tiles.